SUSPENSE SISTERS: HOUSTON - THE MOST DIVERSE CITY IN THE U.S. Award-winning author DiAnn Mills is a fiction writer who combines an adventuresome spirit with unforgettable characters to create action-packed, suspense-filled novels. DiAnn’s first book was published in 1998. She currently has more than fifty books published. 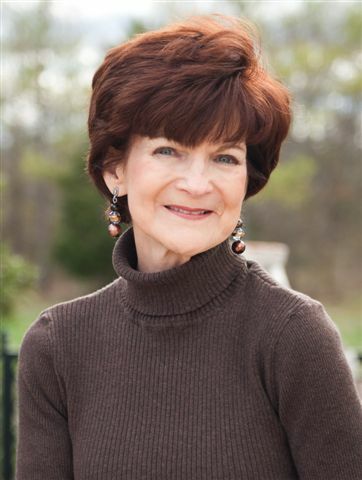 DiAnn is a founding board member for American Christian Fiction Writers and a member of Inspirational Writers Alive, Romance Writers of America, and Advanced Writers and Speakers Association. She speaks to various groups and teaches writing workshops around the country. DiAnn is also the Craftsman mentor for the Jerry B. Jenkins Christian Writers Guild. I love Houston. It’s home, and that makes it the most special place on the planet. Oh, I know you’re thinking of cowboys and oil wells, Texans and Astros. And those things are true. But Houston appeals to many people groups. According to the Kinder Institute for Urban Research at Rice University, Houston ranks as the most ethnically diverse city in the US, surpassing New York and Los Angles. 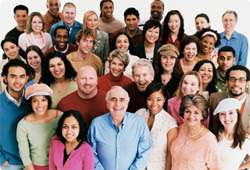 We are filled with cultural diversity from Anglos, Latinos, Asians, and African Americans. Consider the gifted and talented people. The spirit of Houston is rich with those reaching out to achieve their hopes and desires. When those who seek the best for their communities rise, we find museums, festivals and parades, historical celebrations, medical facilities, various religions, learning centers from preschool to colleges and universities, small businesses and high rise buildings, and always the opportunity to fulfill worthwhile dreams. It’s amazing and exciting. All I need do is look around at the array of smiles, and I see a city that cares about its citizens. But with this enthusiasm for unity and a blending of culture comes differences. Some of those differences are not easily solved. Injustice steps its ugly foot into what could be beautiful. Crime rises. This is true for every city in our country. Gangs fight for control of the streets. The greedy look for ways to steal and betray. Prostitution, drugs, fraud, and every conceivable crime snake through our neighborhood creating fear. When men and women who are powerful in business and government take advantage of people, justice must be served there too. If a community doesn’t seek appropriate relief, chaos can take over. This is not where we want our children to play. And criminals are not acceptable role models. When innocent people face overwhelming odds, I see the beginning of a novel where good triumphs over evil, even when a situation looks bleak. At times the bad guys gain momentum. Neither in real life nor in the story world can that be allowed to continue. I write about brave men and women who refuse to accept defeat. Sometimes my characters are trained professional crime fighters. They choose to keep the city free from crime, and they are trained to make sure the job gets done. Sometimes my good guys are unlikely men and women who are determined to find the needed skills to bring an end to crime. All put themselves in danger for a greater cause. The key characteristic for my heroes is passion for a cause. Add bravery, intelligence, and determination and I’m up all night twisting a plot. Houston is an amazing part of the country, and it’s all because of the diversity of its people. Read my stories, and you’ll agree this is a city filled with hope. I’d like to hear about where you live, whether it be a big city or a ranch in Wyoming. 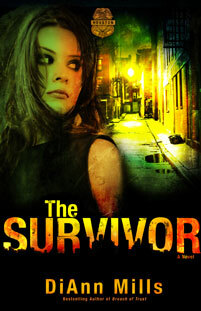 Leave a comment and you’ll be entered in a drawing to receive a personalized copy of The Survivor. Hi DiAnn! Loved your post. Houston sounds interesting...a spot I want to visit one day! As you know, I'm from London, Ontario, Canada. We're call the Forest City because of the thousands of trees in it (go figure!). We're a small but big city (population over 350,00). The best of both worlds. And close to many attractions. Toronto, Buffalo, Detroit, etc. I love it here! I've actually never been to Houston! Thanks for the "tour"! I've been all over the US and Texas (relatives in a couple cities) but not to Houston, although my son interviewed at a grad school there! I grew up in a very small town in Calif. which was fantastic (parents still live there) but since have lived all over the place - everywhere from Saudi Arabia to Guatemala to 5 different states; visited many countries and states. I love to travel but Oregon is my home now. I live in the small city of Grand Haven, Michigan where it takes me only 10 minutes to ride my bike to beautiful Lake Michigan! I love where I live. Beach towns are the best! I loved hearing your description of Houston, because that's where I grew up! I love getting back there to visit my family, but I'm always happy to come home, which is now in North Central Kansas. A town of only 50,000, and we're one of the bigger ones around! You can imagine that I had some adjusting to do after leaving Houston. I live in Salem, Oregon, City of Trees, smack dab in the middle between the ocean and the mountains, and I love it. Raised as a military kid though, I have traveled across much of the U.S. and Texas is where my dad was born, in Muleshoe to be exact! I would never have guessed that Houston is the most culturally diverse city in the U.S. I have never visited there, but certainly would be interested to do so. I am moving tomorrow to Alexandria, MN. I really don't know much about it yet, but am looking forward to learning to know and be a part of it. I do know, however, there are lots of lakes and about 12,000 people, or so. I live in Rising Sun, MD ( a pretty small town). We have 2 red lights, a MacDonalds, a grocery store, 2 banks and a post office...oh we also have a pharmacy! I grew up here and have never strayed far. I would love to visit Houston some day! I live in Cedar Rapids,Iowa which is in the east central part of the state. It was flooded badly in 2008,but we are coming back strong! I love reading about these places! Hi! I live near Louisville, Ky. - the bluegrass state & the home of the Kentucky Derby & Diane Sawyer, beautiful scenery in my state! Cool post, DiAnn. I live in a farming community in deep rural Minnesota. We have our own unique brand of "bad guys" and problems out here compared to the inner city. Thanks for sharing with us how setting energizes your creative juices. I live in a small country town in Pa. We are starting to see more diversity. I really enjoy reading your novels. It helps me explore new places when I can't afford to travel all the time. I am so excited for your new book. I'll be selecting a winner this evening! Stay tuned! Our winner is Jackie Snyder from Rising Sun, MD. She'll receive a personalized copy of The Survivor. Congratulations! Jackie!